Nicheck is rather smart for a goblin, but compensates this with her too-big ego - her overestimation of her own abilities tends to lead her into trouble. 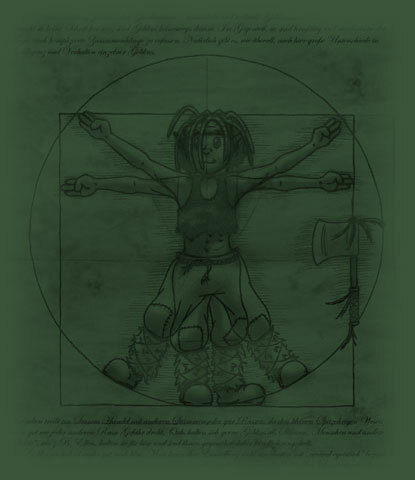 her greatest wish is to become a warrior - a profession for which, unfortunately, she has no talent at all. If there's a thing like friendship among goblins, Jax probably is Nicheck's best (and only) friend. He has some strange and, for a goblin, revolutionary ideas. You might even call him idealistic. The shaman of the fast-foot tribe. Goblins usually don't get as old as all that, so maybe dealing with the tribe's everyday affairs has made her look old before her age. Or she might be an exception. Varicolored fungi are an essential part of goblin cuisine. 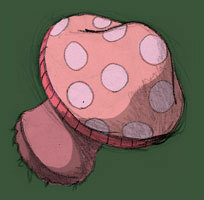 Their different effects (from edible to hallucinogenic or even poisonous) are usually discovered by trial and error. 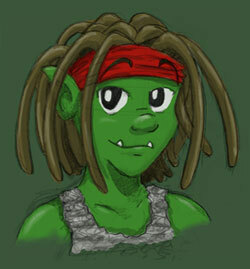 Goblins are a small, green-skinned race, distantly related to the rather well-known family of goblinoids - the orcs. Their tribes live in small settlements in the deep forests of Bryda, or in caves on the slopes of the southern mountains. Hierarchy in a goblin tribe is pretty straightforward: There's the shaman (in charge of rituals, magic and everyday life) and the chief, the military leader. For everyone else, their position is determined by age, experience, and competence. In this, male and female goblins have absolutely equal rights. 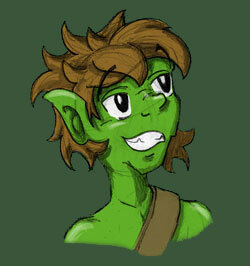 Goblin children are brought up by the whole tribe - family ties, although not unheard-of, are not common. Although they have no written history, goblins are far from stupid. They are very adaptive and capable of grasping complicated tasks and problems. But of course, like everywhere else, there are huge differences in intelligence and personality between specific goblins. Trade with other races is rare among goblin tribes, as pretty much every other race is a danger to them: orcs like to have goblin slaves, elfs, humans and other "good" races consider them as evil and often kill them on sight. 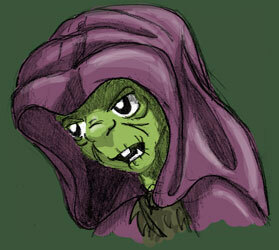 A goblin is neither inherently good nor evil. One could probably describe their alignment as "egoistic neutral" - neither do they use unnecessary cruelty (except when it's funny) nor are they especially friendly (except if they see an advantage by it). Their loyalty is to themselves and to the tribe. Of course they would gladly work together with any other race, as long as they profit from it. When this is no longer the case, goblins have no problem with abandoning their former allies or to even stab them in the back. Honor is a concept foreign to goblins, and so they have the reputation of being mean, sneaky and opportunistic. The behavior of individual goblins can be anywhere between careful and cowardly (brave goblins tend not to survive into adulthood). Thus, a single goblin does not pose any danger - but a horde of them can be a serious threat.